In only 3 days, 5.2 million people have joined the viral #10yearschallenge to share photos showing them as they grow older. However, is it just an innocent meme, or has Facebook come up with another trick to collect more data? If you haven’t heard of this trend, the rules are simple – you put together two pictures side by side: one taken ten years ago and one taken recently. People flooded Facebook, Instagram, and Twitter to see how they’d aged, creating a social media storm. Some wondered, however – is it really as innocent and harmless as it seems? An opinion piece posted by Wired has snowballed and turned into a conversation about whether Facebook is using this meme to train their facial recognition system to recognize aging. These allegations haven’t (yet) been proven. However, it would certainly help Facebook’s facial recognition system learn about aging if they had a database of over 5 million photos and if they knew that those pictures were taken exactly ten years apart. According to Wired, this type of data would be more accurate than crawling through the billions of photos Facebook already has. Why do people think it’s data mining? It looks like the last couple of years of data breaches have changed people’s perceptions about cybersecurity. We are starting to question these social trends, whether we should engage in them, and what can happen with our data if it ends up in the wrong hands. There are good reasons why we should be asking ourselves these questions. Facebook quizzes and memes that asked you to comment what your first ever concert was or to post the name of your first cat. These are often used by other websites as security questions. Don’t forget that data collected legitimately and with your consent can sometimes can still end up in the hands of a third party. Facebook has a loose definition of the term ‘partners,’ sharing user data with clients like Netflix, Spotify, Microsoft, and Amazon. 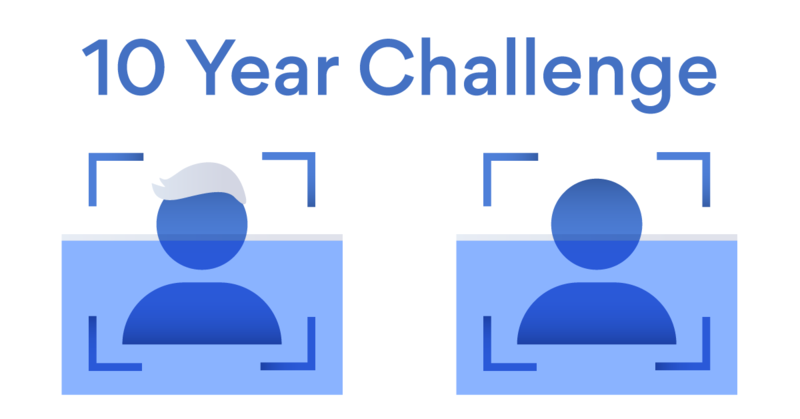 It’s still unclear whether the #10yearschallenge had any ulterior motives and whether the pictures will be used for anything other than to increase engagement. However, we are happy that this social trend wasn’t taken for face value. It has ignited an important conversation and shown that we are all becoming more vigilant about how our data is being collected and used. Keep up to date with the latest cybersecurity news by subscribing to our newsletter below.